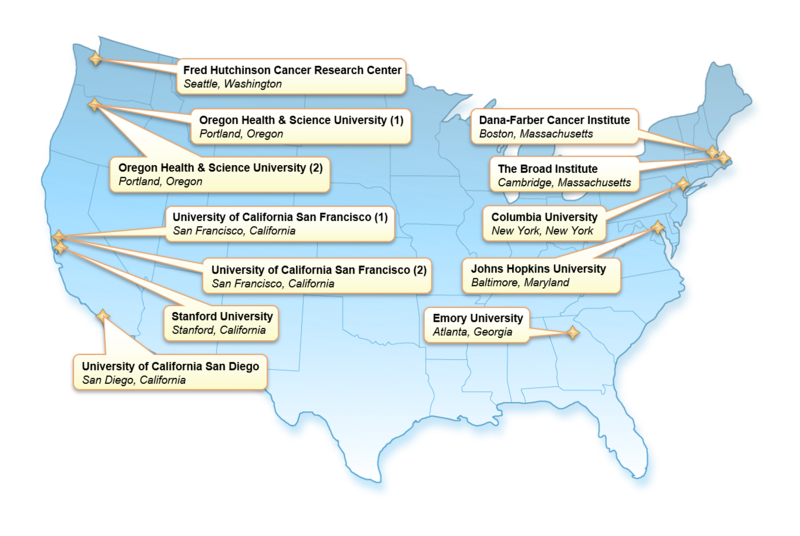 The Office of Cancer Genomics supports the Cancer Target Discovery and Development (CTD2) initiative, a collaborative Network of research teams, or Centers. The primary goal of the program is to bridge the knowledge gap between large-scale genomic datasets and the underlying etiology of cancer development, progression, and/or metastasis. This phase of the CTD2 Network aims to employ the lessons learned from the previous phase (described in the manuscript "Towards patient-based cancer therapeutics"), build on the fundamental findings generated from genomic initiatives, and exploit this knowledge in a clinically-relevant context. To achieve this goal, each Center utilizes a distinct array of advanced computational and functional systems biology approaches. The CTD2 Centers benefit from having complementary and specialized expertise within the Network. Project descriptions, datasets, and methodologies generated by the Centers are shared through the CTD2 Data Portal. Analyzed data, experimental observations, and other positive results from the Centers’ efforts are compiled in the CTD2 Dashboard. Algorithms and reagents developed through this initiative are listed on the Analytical Tools and Supported Reagents pages. The CTD2 is a "community resource project," and all information in the Data Portal and Dashboard are openly available to the scientific community and can be accessed without restrictions. Not only does each Center utilize a distinct array of advanced computational and functional systems biology approaches but also collaborates organically and shares data and resources with the cancer research community. Herewith, CTD2 advances the understanding of cancer etiology, mechanism, and treatment and potentially accelerates development of clinically useful markers, targets, and therapeutics for precision oncology.